"The journey continues December 18, 2020"
With the current release schedule I'll be 42 when the final film is released. If I'm still alive. Hell, I'm doing good just to make it from month to month. 11 years for a sequel. God help us. I hope JC lives that long. He'll be around 70 by the time the final one is released. To continue Wind12"s point, JC has always spaced out his work, i.e. T2 was released in 1991, Titanic in 1997 and Avatar in 2009. JC likes to take his time to deliver the goods. Avatar2 was never going to be released in 2018 being a 4 movie production and all. 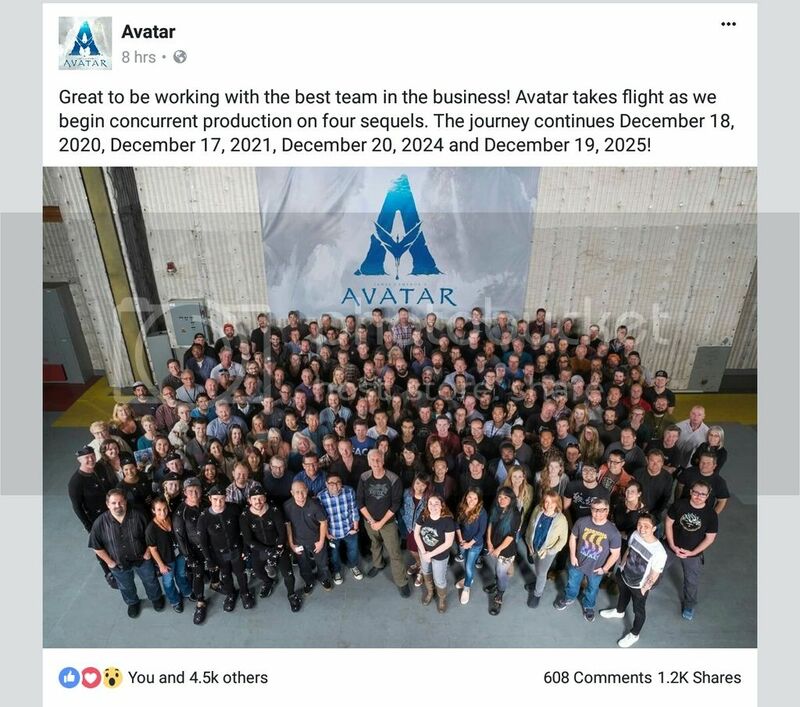 So here we go, starting in December 2020, we'll have an Avatar movie (almost) every December for 5 years and that's what I'm pumped for. i won't believe anything until i see Zoe Saldana on set! on set, i tell you! Last edited by Ja'k Dawsiin; 04-24-2017 at 04:42 AM. Pretty much my view (not that I expect to be allowed on to the set to observe). It ain't filming 'til it's filming! December 2020 can't come soon enough! I hope we see concept art for new characters, locations and more Neytiri and Jake. Mainly more Neytiri. good GOD cameron you canNOT keep pushing back like this if you intend to actually release your film. you SAID you were working on a sequel literally months after the first one came out, then you said you were STILL working on it every time hte expected release date came and went. During the filming of Star Trek Beyond and Guardians of the Galaxy 2 Zoe did a lot of snaps on Snapchat and posts on Instagram dressed as Uhura and Gamora. She even did a post about her My Little Pony character fairly recently. So I'm sure that we will see a picture of something AVATAR related on her social media when filming begins even if it's just a hint. If you aren't on her social media YOU SHOULD BE. Otherwise you'll miss out on stuff like this - https://www.instagram.com/p/BTaPjX2h0tD/ (It's a video). I'm a big fan of Neytiri so I don't think I could bring myself to not see the movie. Although, I probably won't see it in cinema because my local cinema is basically used as a daycare. There's literally standing room only in the twelve screening rooms available and you have children playing tag in the aisle. The closest nice cinema from me is fifty miles (an hour away) and a two hour round trip is a bit much for someone who doesn't drive. 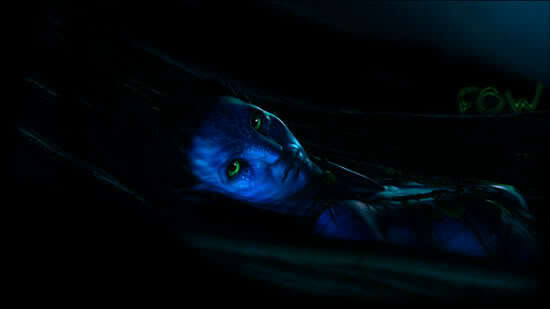 This is James Cameron we're talking about and we all know he knows how to put on a top notch production, but with all the delays and with AVATAR being the last project he's going to work on I will say that it better be a great story and the graphics need to be just that much better. Neytiri had better look so freaking real that it causes boyfriends to break up with their girlfriends, women to become lesbian, divorces among married couples, human sacrifice, dogs and cats living together, mass hysteria!